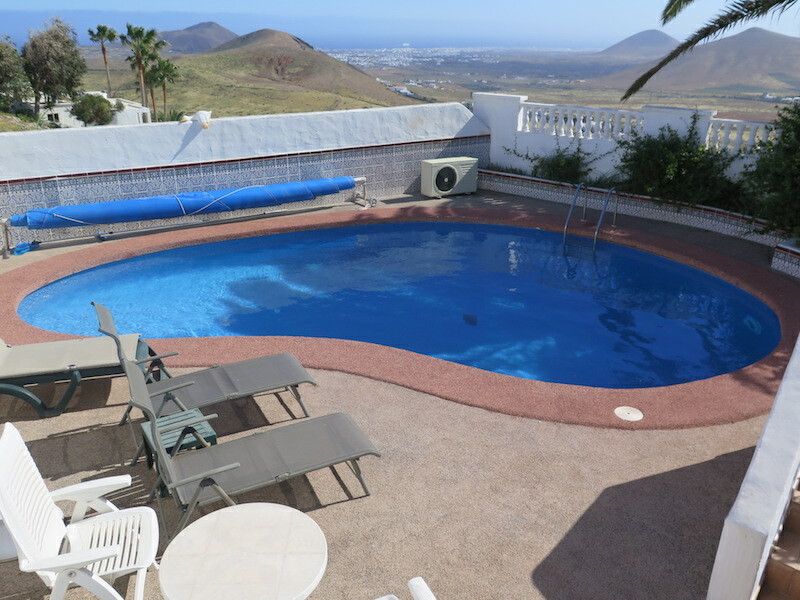 The apartment is in Oasis de Nazaret offering wonderful views from it’s elevated position. It’s suitable for couples and features a private terrace and exclusive use of a private swimming pool. The property has a modern bathroom with walk in shower, and the kitchen is fully equipped with a “proper” fridge, 4 ring gas hob and a full oven. Facilities: Airport is 20 minutes away. Nearest beaches are Famara and Costa Teguise, both approximately 15 minutes drive. There is a small supermarket nearby and the town of Teguise is just up the road, A hire car is recommended. All linen, towels and beach towels are provided, as is a starter pack of basics. The price is £275 per week, all year round.